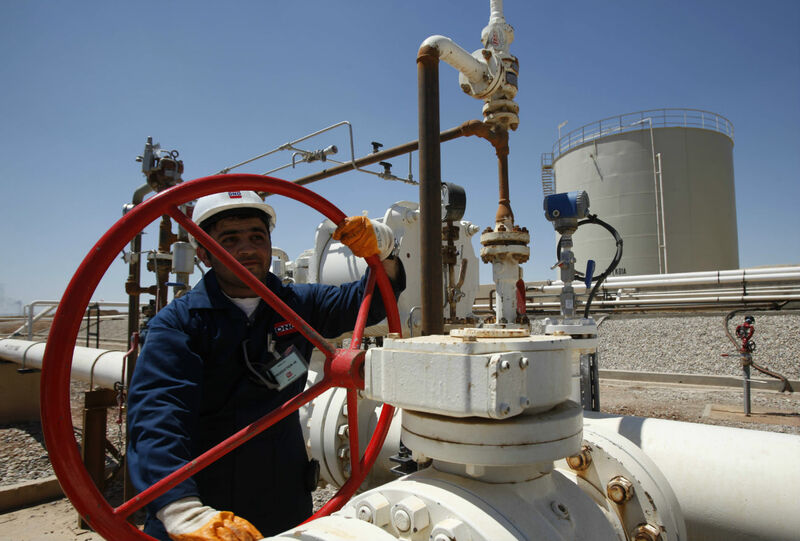 The company has no plans to shut operations at the three oilfields in the north of Iraq. Photo: An employee works at Tawke oil fields in the semiautonomous Kurdish region in northern Iraq. Despite the fact that ISIS terrorists operate in close vicinity to some oilfields of Iraqi Kurdistan, Russia’s oil giant Gazprom Neft plans to increase production at the three fields it operates in the region. Gazprom Neft, the fourth largest oil producing company in Russia, plans to increase oil extraction in areas controlled by ISIS, a terrorist organization at war with the Iraqi and Syrian governments, as well as with the international anti-terrorist forces led by Russia and the U.S. The company has no plans to shut operations at the three oilfields in the north of Iraq that are close to the fighting in ISIS-controlled territory, reports RBC, citing a source at Gazprom Neft. According to RBC, the company instead plans to increase annual oil production to 220,000 tons, which would constitute a 17.3 percent increase over last year. "Oil companies working only 30 miles from a conflict zone is probably a little extreme but certainly not unheard of," said Marat Terterov, founder and executive director of the Brussels Energy Club, in an interview with RBTH. "We saw in 2014 that ISIS was also a similar distance from Iraq’s main oil producing areas close to Basra in the south of the country, but the oil continued pumping. The production centers are well protected by powerful security companies, and 30 miles is a much greater distance in a country like Iraq than in the U.S. or Europe. In addition, most oil majors certainly have risk premium insurance for such operations." Gazprom Neft operates two oilfields jointly with the Kurdistan Regional Government (KRG), the official ruling body of Iraqi Kurdistan. The company owns 80 percent of both oilfields, Halabdzha and Shakal, with the KRG holding a 20 percent share, reported RBC. The third oilfield, Garmian, is operated jointly with a Canadian oil company WetsernZagros, and the shares are split equally at 40 percent for each, with the remaining 20 percent belonging to the KRG, reported RBC. "It is possible to transport oil extracted in the fields of Iraqi Kurdistan to Turkey via the Kirkuk-Ceyhan pipeline," said Igor Yushkov, a leading analyst at Russia’s National Energy Security Fund, in an interview with RBTH. "Oil from a particular oilfield may mix with oil from other fields while in the pipeline, so it is not possible to say who exactly buys oil produced by a particular company." ``"Moreover, oil companies sell their volumes to private traders, who then resell it in smaller portions," said Yushkov, explaining why it is impossible to determine who buys the oil from the three fields operated by Gazprom Neft in Iraqi Kurdistan. "Gazprom Neft currently does not see any risks that could impact our work in Iraqi Kurdistan," said the company’s general director, Alexander Dukov, as quoted by RBC. A total of 26 foreign companies are producing oil in the fields of Iraqi Kurdistan, including from Norway, Austria, Great Britain, and Turkey. None plan to make cuts due to the nearby presence of ISIS terrorists, reported RBC.